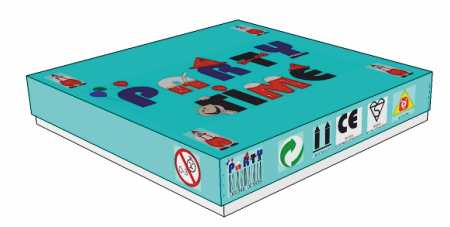 A prototype of the packaging designed for a party pack is seen below. The contents fit into part ‘B’. Part 'B' then fits inside the base (part 'C'). Part ‘A’ is the decorative lid. 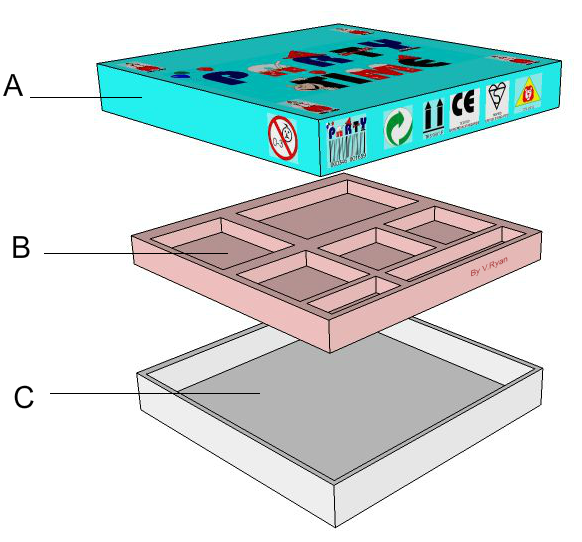 The incomplete net / development for the lid is shown below. Complete the net. Explain why your chosen material is the most suitable. 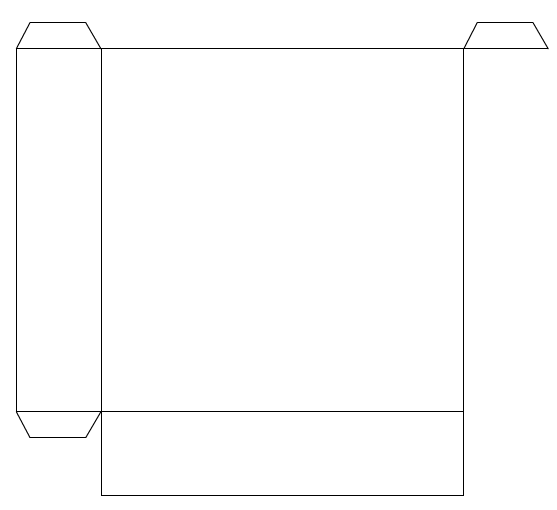 What are the advantages/disadvantages of using this type of packaging for disposable packaging?.